Coffee Break is weekly meeting of women of all ages who get together to study the Bible in a small group setting, enjoy coffee, tea & goodies. Coffee Break encourages women to discover for themselves what the Bible says and means for their lives. Nursery care is provided for infants and a Story Hour program for children age 3+ engages the young children in Bible stories and crafts. 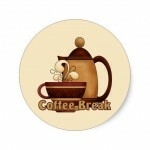 Coffee Break meets on Friday from 9:30 – 11:00 am. The Ladies Society has been in our Church for a long time. We are a small group and enjoy meeting for Bible study on Wednesdays at 2:00 pm. The Men’s Bible study is a group of dedicated men who meet to study the Bible and pray for the needs in our world, our church and our families. 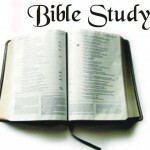 The Men’s Bible Study meets on Thursday at 7:30 pm. Friendships mission is to share God’s love with people who have intellectual or physical disabilities and to enable them to become an active part of God’s family. Friendship Group is an inter-denominational ministry. Friendship meets on Monday nights 7:00 – 8:30 pm and there is a time of singing and praising God. A Bible story will be shared or a special guest may be invited, there is time for games and fellowship meeting with old friends and making new friends. Coffee, tea, juice and cookies are enjoyed as part of the evening.